2010 - 2011 SEASON - ACMA THEATRE CO.
ACMA Theatre Company delivers a profound interpretation of this American classic while staying literally true to the author's original prose. 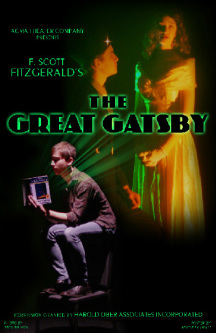 The Great Gatsby is a cautionary tale about lives that are privileged, yet desperate and unfulfilled. Come see and hear ACMA students recreate this Jazz Age fairy tale about affluence, indifference, longing and ultimately, love.